Espresso books is a small, young publishing house in Zurich, Switzerland. We provide books that are for knowledge what espresso is for coffee: only the good stuff, without the fluff – hot, short and strong. We publish books and e-books on business skills and personal development. 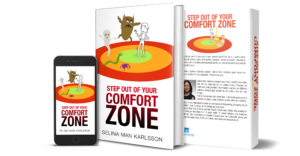 The first book in our soft-skills series is available on Amazon: «Step Out of Your Comfort Zone» by Selina Man Karlsson.